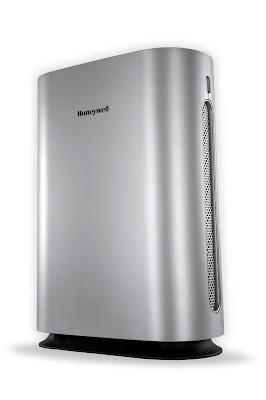 India’s 1st Smart and Connected Air Purifier on Honeywell offers one of the broadest and most comprehensive range of indoorc air purifiers in India for homes, cars and institutions. An aesthetically-designed, energy-efficient and connected air purifier by Honeywell is Honeywell Air Touch S.
Air Touch S is India’s first Wi-Fi-enabled smart air purifier that connects with ‘Honeywell Hplus’ app on both iOS and Android platforms. The model gives real time indoor air quality indication and real time filter health indication on the app. 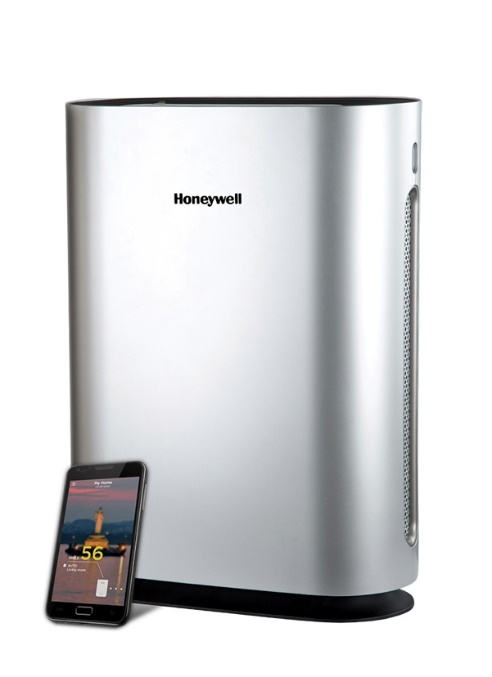 The mobile app allows you to remotely control and operate the air purifier. Air Touch S, has a multi-layered filtration process; the grade 11 HEPA filter eliminates particles of size 0.3 micrometre or larger in diameter including PM2.5 and microscopic allergens with a 99% efficiency. Air Touch S also has a HiSiv filter, with patented Honeywell technology that removes odour, formaldehyde, household fumes, and other toxic gases with a unique honeycomb design. The major USP of Air Touch S is the scheduling feature which allows you to remotely schedule the device ‘on’ for a future time directly from the mobile app and remotely monitor its functioning so that the room’s air is clean by the time you reach home ensuring control & energy usage anytime, anywhere. Unlike all the other Wi-Fi air purifiers, Air Touch S shows the remaining filter life on the app and a real-time PM2.5 reading from the unit's sensor even when you are away. 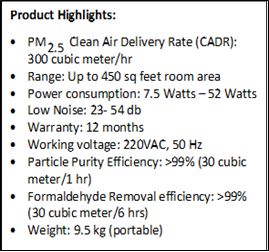 It also gives a quantitative historical data of particles filtered by the air purifier in the room. Available on Amazon.in and Croma.